This YA sci-fi anthology (edited by sci-fi authors Paige Daniels and Mary Fan) features stories about girls in STEM (Science, Technology, Engineering, and Math)...Girls who hack not just computers, but whatever puzzles come their way, using their smarts to save the day. 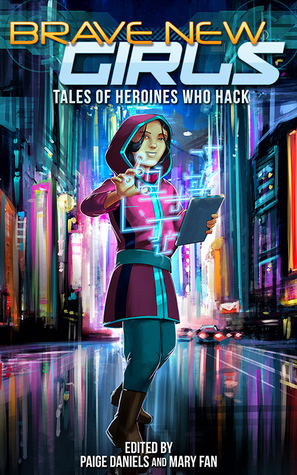 It's got sci-fi mysteries, cyberpunk, space adventures, and more! 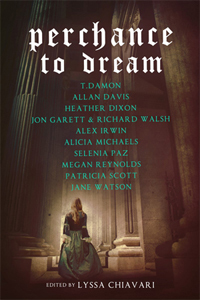 Proceeds from sales of the anthology will be donated to the Society of Women Engineers scholarship fund. A girl with long, long hair is trapped in an attic, ensnared by promises of immortality, the radio her only companion. An android wants to believe in her life, that the feelings she has are real-and that she might be just as beautiful as her famous stepsister. A gamer must save her true love from the mysterious, dark entity that has ensnared him in their MMORPG. A modern teen is lured to the fantastical Land of the Dolls, and only her own cunning can help her escape. These are just a few of the bewitching tales found within Magic at Midnight. 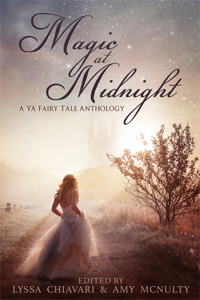 From sci-fi to fantasy, contemporary to historical, paranormal and more, there's a fairy tale retelling in this collection for every reader. Featuring stories from bestselling and award-winning YA authors as well as emerging voices, this anthology will take you to distant worlds and back again—all just familiar enough to make you feel at home.